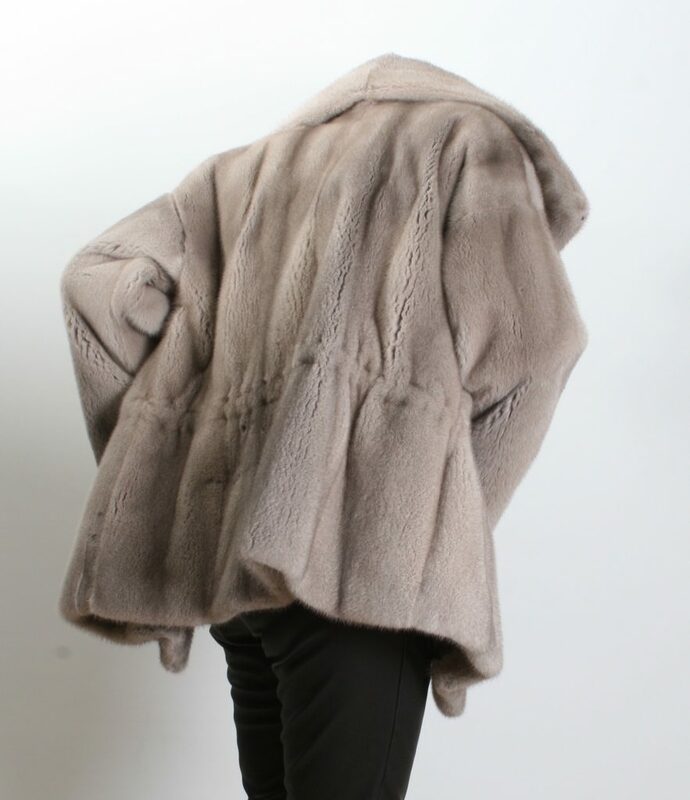 Mink fur in silverblue, with drawstring and big collar..beautiful for a cold day . 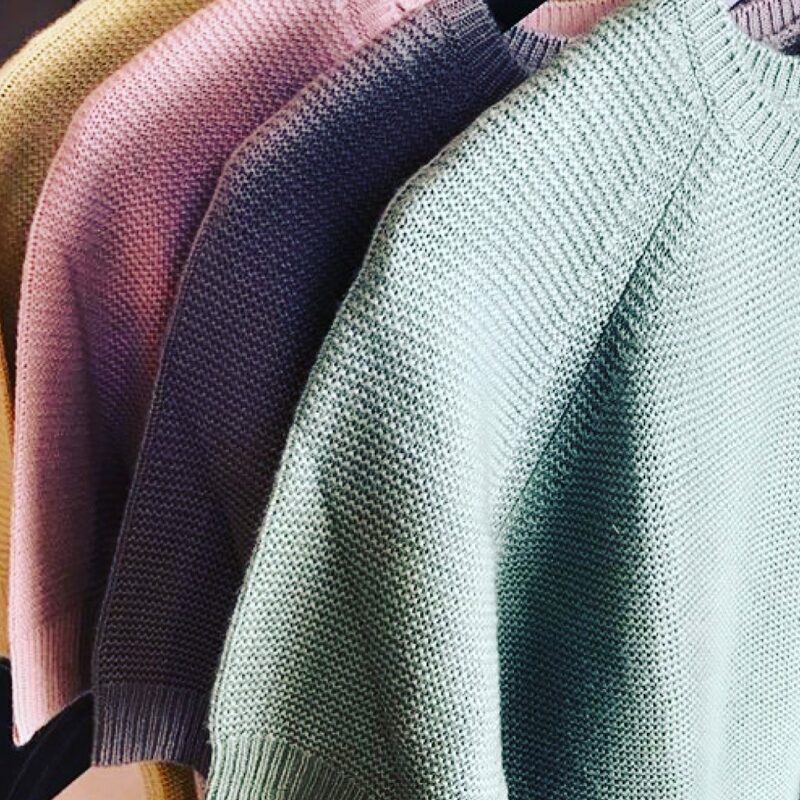 Knit from Âme in soft 100% cashmere in beautiful colours. 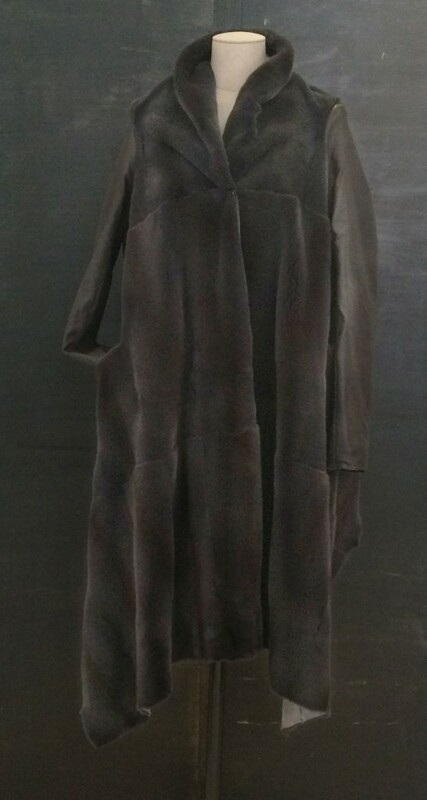 Asymmetric wrap-around coat in plucked dark grey mink with contrast sleeves in grey leather and pockets to the front. 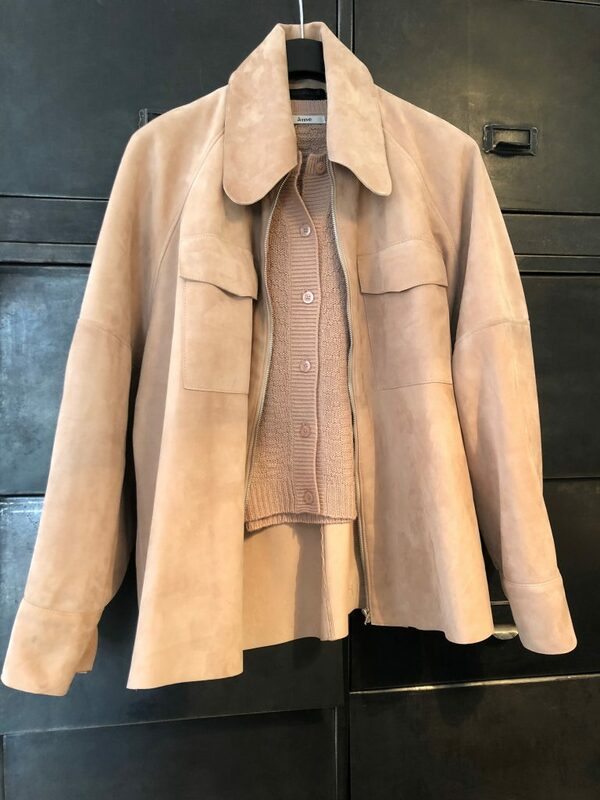 The coat is reversible and has a suede finishing in a lighter grey colour. 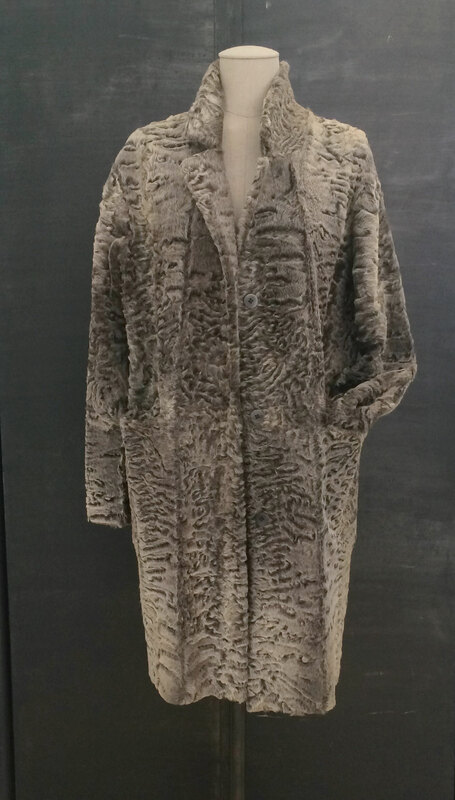 Reversible coat in Swakara fur featuring pockets to the front, collar and button fastening. 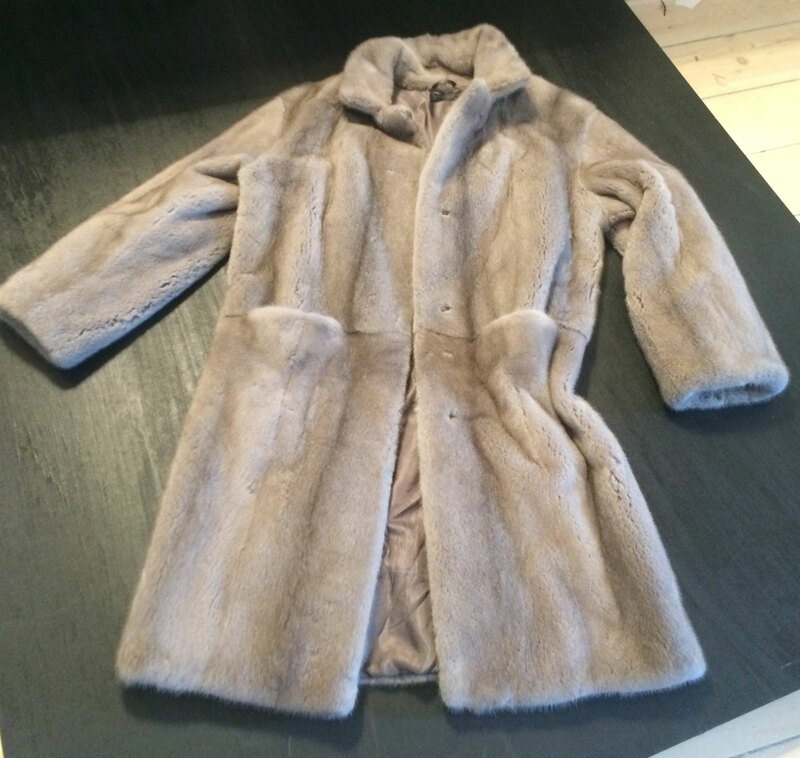 The fur is in a beautiful brown-greyish colour and the reverse is brown suede. 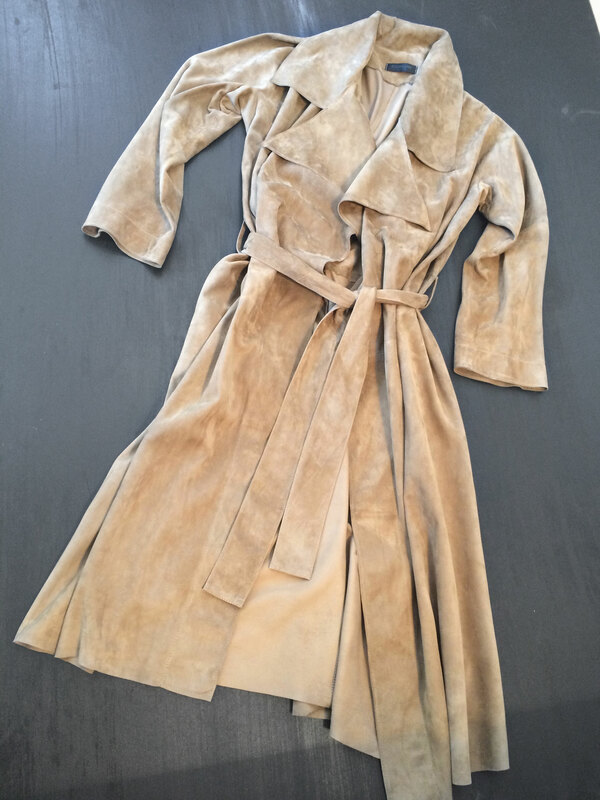 Over-sized suede coat featuring lapel and collar, pockets to the side and belt to tie around waist. We just received a couple of new gorgeous scarves in wool/cashmere from a Japanese designer. 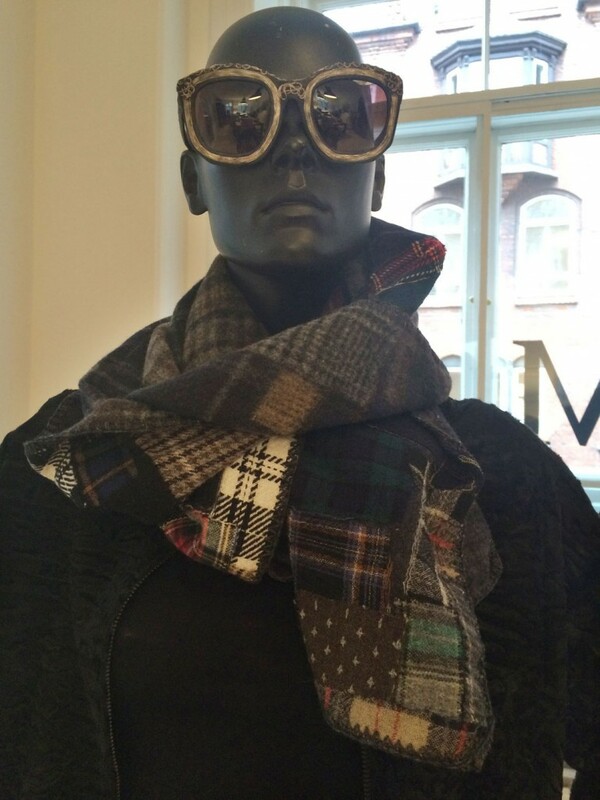 The scarves are double-faced with tartan mix and a felted backside. 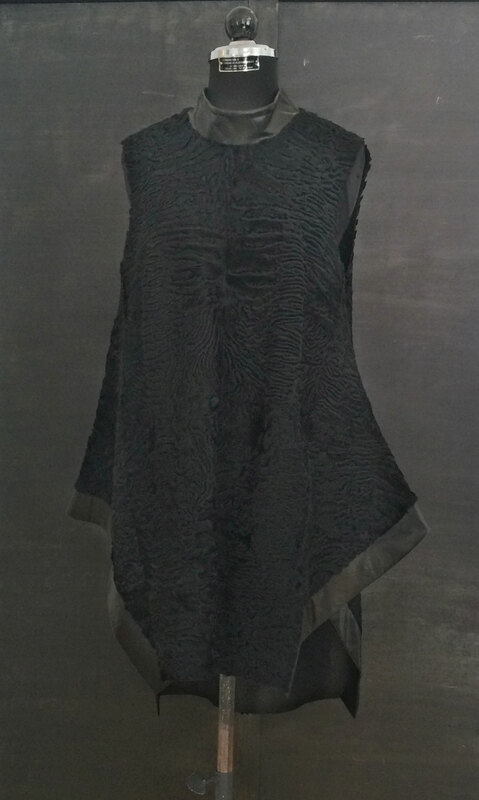 Elegant asymmetric and sleeveless top in black Swakara fur featuring black leather details, collar and zip to the back. 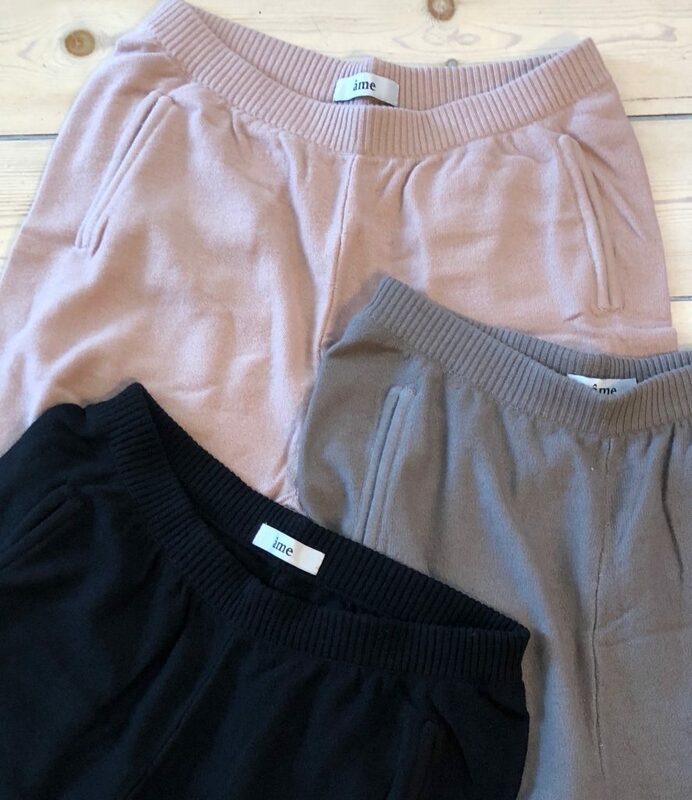 The top is reversible with a beautiful leather finishing.